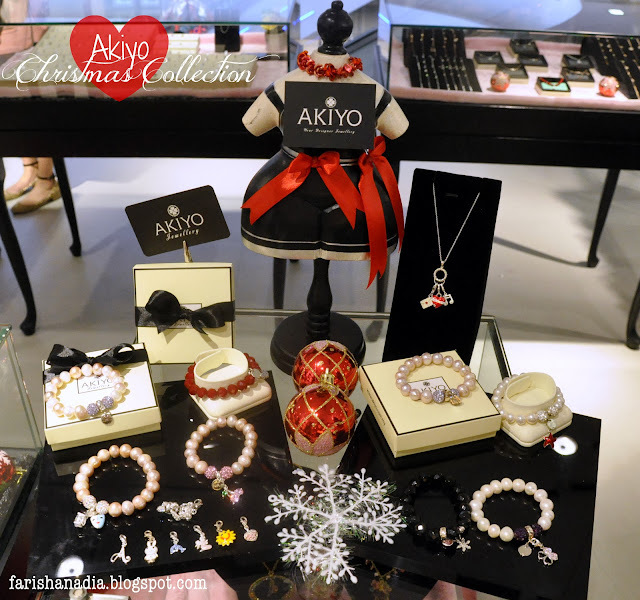 Today I want to share something that will charm a way into your heart *wink wink* A few butterflies and I were lucky enough to be invited to the introduction of Akiyo Jewellery's Christmas Collection. 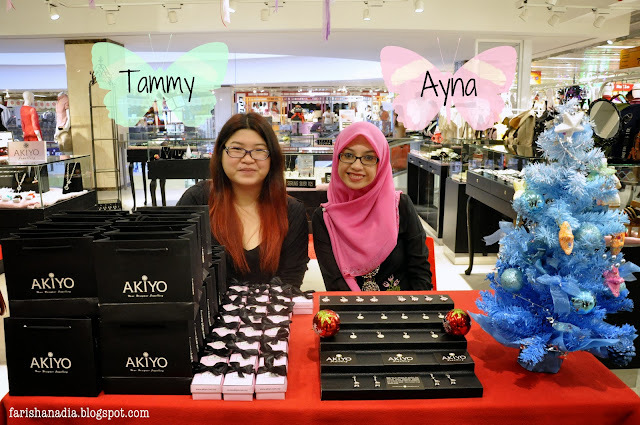 Akiyo is a Malaysian made brand that exert towards providing the combination of Japanese & European aesthetic, contemporary and stylish jewellery. Akiyo, which means "Bright, Clear, Sparkle" is created to bring a unique and meaningful jewellery experience that celebrates special moments in life. The Four-Leaf Clover is their signature symbol which represents the meaning of Life; Faith, Hope, Love & Luck. 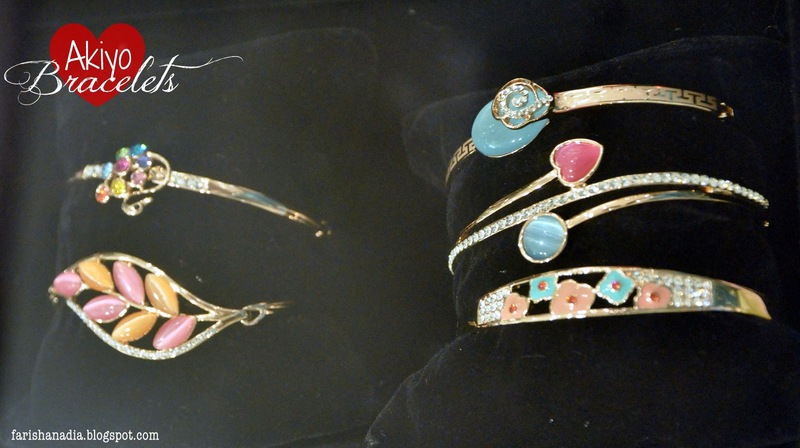 More importantly, their aim is to make jewellery more affordable, accessible and universal. 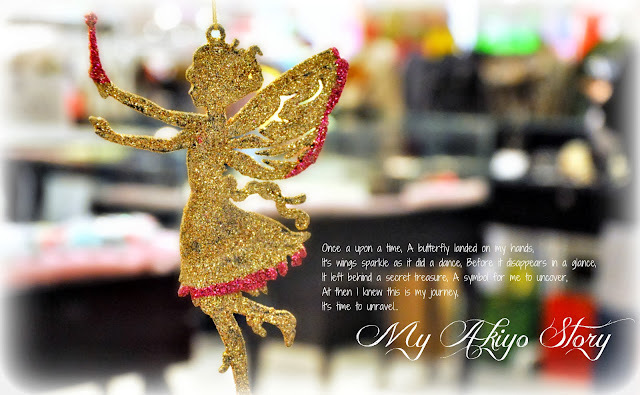 Akiyo provides varieties of jewelleries, from charms and necklaces, to bracelets and anklets. They even have cute couple rings. 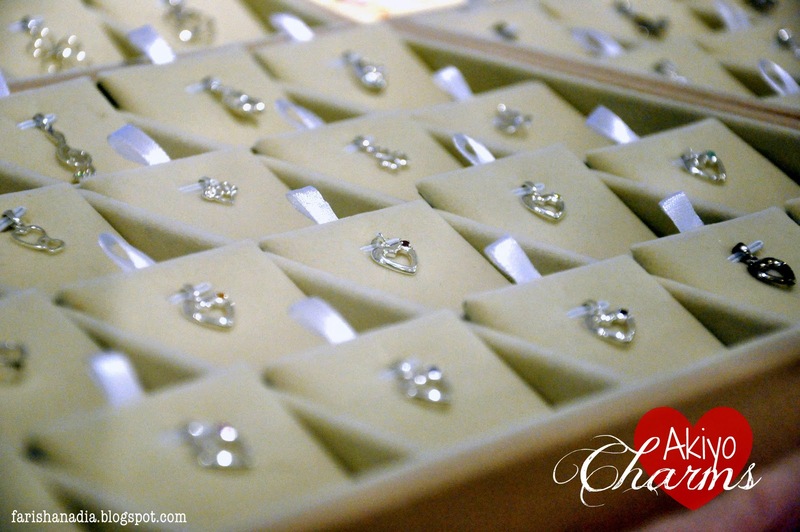 Their signature jewelleries are their Charms and Pearls, which are included in their latest Christmas Collection. Akiyo charms are made of high quality German 925 Sterling and some even are made with Swavorski elements. There are so many adorable designs to choose from. The silver charm bracelet can be customised to your size. One of the three new designs for their Christmas Collection are the Eiffel Tower, Snowflake and a Pink Present Box. 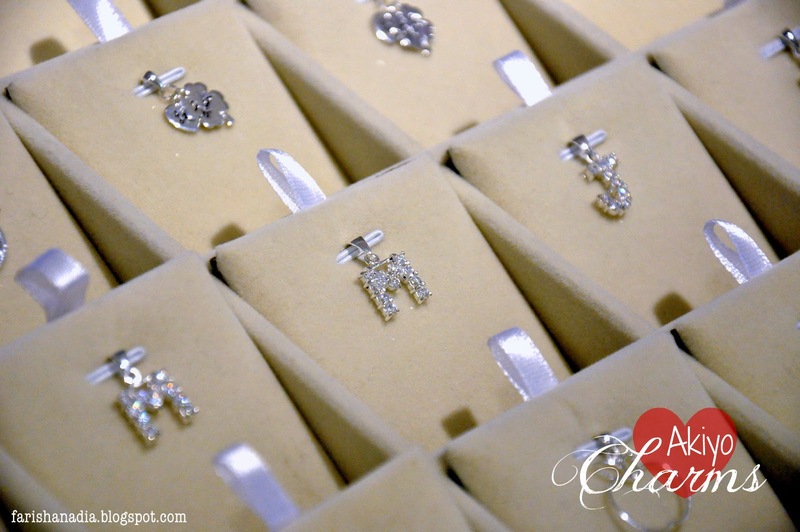 We had the chance to bring home one of these charms, so cool right? *happy face* Which one did I choose? Keep on reading! Three adorable charms to choose from! 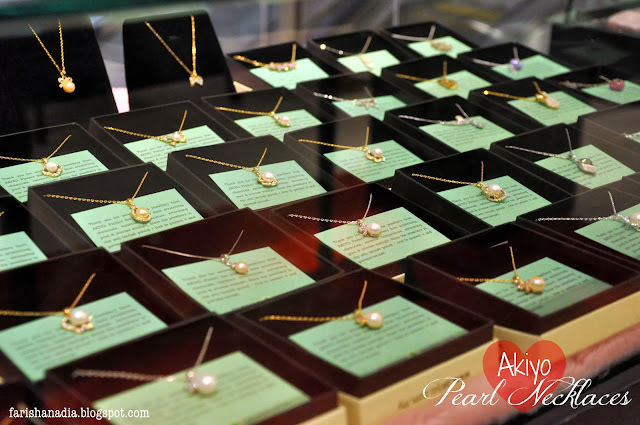 Akiyo pearls are made from 100% genuine Fresh Water Pearls and they have three different colors; White Pearl, Lavender Pearl & Champagne. Mandy, the founder of Akiyo, explained that Akiyo aims to make pearls more universal and attractive especially to younger women who have a mindset that pearls are only for "old ladies". 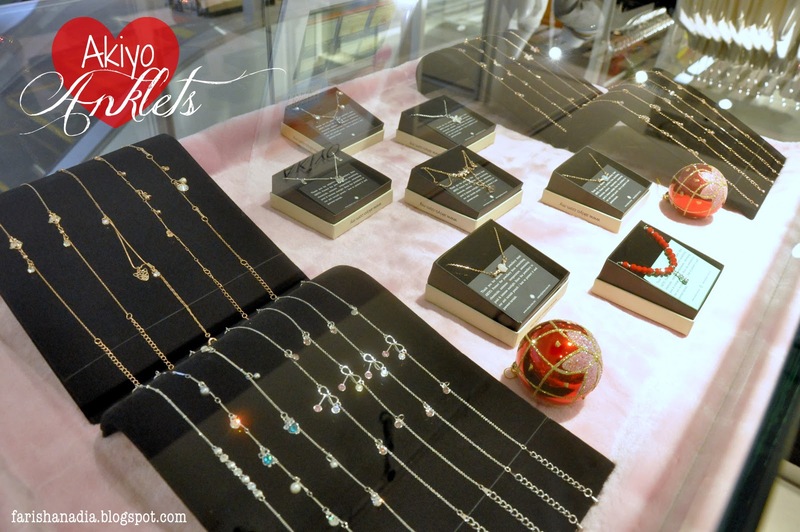 Akiyo designs pearls to be more attractive with splashes of colors, Swarovski and charms. Their best seller, the pearl bracelets, are not only very beautiful and youthful but their are also made with stretchable bands which makes them very unique and practical. You can just slipped the bracelets on with no hassle. Most of Akiyo's jewelleries are coated with rhodium that helps to prevent tarnish. 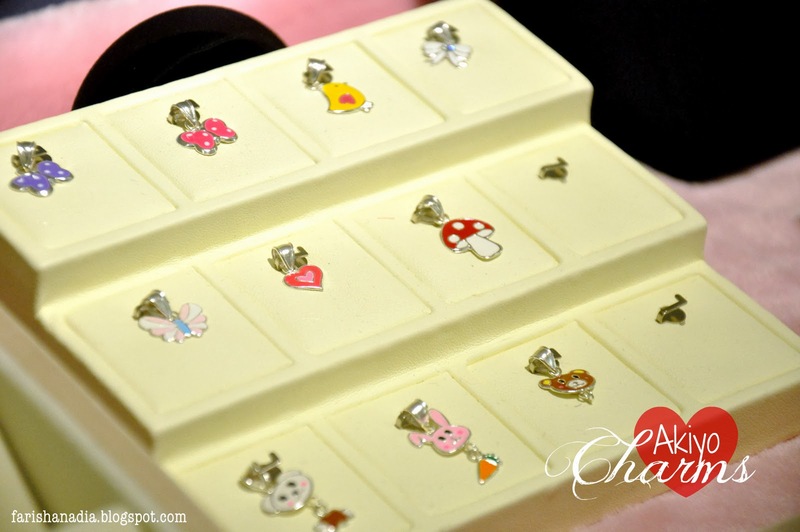 Akiyo also provide a cute box with an anti-tarnish pouch for safe keeping your jewellery. So, what charm did I choose? The charm I chose was the Eiffel Tower. When you mention the Eiffel Tower, most people will instantly think of Paris, the City of Love and Romance. But for me, it means much more than that. Before my love for beauty kick started, Paris to me was an Escape. I was in college, sponsored to do my A-levels and to eventually further my studies in Actuarial Science in the UK. I knew all along that it wasn't what I wanted to do, but study is study. The one thing that made me excited to study in UK is not the possible future of math and calculations, but it was the fact that it was close to Paris. I can just take the train and I'll be in Paris in 2 hours. It was the ultimate escape for me, an escape from everything. But that "dream" didn't happen, although it felt unfortunate at the time, but not being able to go, opened a new door of opportunity for me to pursue my real passion. My love for all things makeup started after I watched Michelle Phan's videos. To her, Paris was and is everything. It's the origin of the company she have always wanted to work for, it's where she made her short film and it's the place she met the one she loved. It's not the dream I want because I don't believe everyone can live the same dream. But that is what Paris meant to me, a Symbol of Dream. And what is my dream? Honestly, I haven't quite figure out that part yet. But the Eiffel Tower is a reminder that big dreams to come true, and whatever mine is or will be, it is possible to achieve. 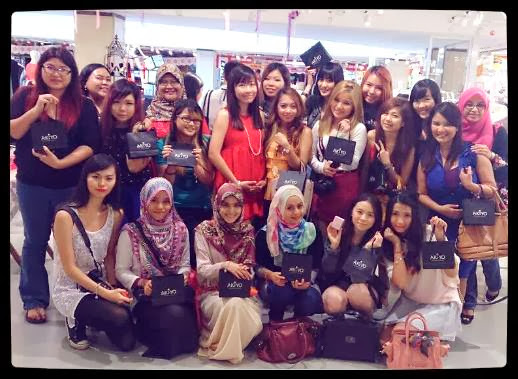 Beautiful Bloggers of the day ;) Thank you Akiyo and The Butterfly Project. Aww.... everything were so cute and lovely.